May was an even better reading month for us than April, in terms of both quantity and quality. We only acquired eight new books between the two of us, three of which were gifts, so our TBR pile decreased once again. We also started writing Top Ten Tuesday posts again, which are always fun. Despite all our reading, we still managed to see two great movies in theaters, continue our TV shows, and eat a lot of birthday cake. That’s what we call a successful month! While the first Fred Abel thriller by the well-known German pathologist Tsokos was okay but still left a lot of room for improvement the second book in the trilogy was already way more thrilling. It still wasn’t the medical thriller one might have hoped for but the unique setting (the unrecognized state Transnistria), the good pace and the interesting story made it a really good sequel (which actually turned out to be a prequel…). This was without question the audiobook highlight of the month. We loved Kristina Ohlsson’s Fredrika Bergman and Alex Recht series, and fortunately both the story and Uve Teschner’s narration lived up to our high expectations. We’re already impatient for the second book. Although City of Blades remains our favorite in the series, this was nevertheless a solid conclusion to a fantastic fantasy-mystery series. It was nice to have Sigrud as the narrator and to see some other familiar faces. Our biggest criticism is that there wasn’t a real mystery case this time. It still feels like Harlan Coben is getting through his impressive career by writing the same book over and over again but somehow he always adds a fresh idea or a new twist to his mysterious-tragedy-in-the-past-led-to-a-missing-person-case story and so this book was another good and suspenseful thriller with the typical Harlan Coben ingredients. I’m always a sucker for conspiracies in the style of the Dan Brown novels and while this one was really quite absurd at times it still was very entertaining throughout the whole book and had an interesting mystery. This book marked the ending of the Brünhilde Blum trilogy and even though I didn’t find it as shocking and violent as the first two books I still think that it was a good and satisfying ending to this dramatic vengeance story. The main and maybe only reason why I wanted to read this one was the fact that the story is set on the Faroe Islands which I was very curious about but I was actually surprised about how much I enjoyed it. The setting was great, the mystery not super thrilling but suspenseful enough and even though the story was rather dark it still made me want to visit this lonely but impressive place some day. Reading this one made me feel like the Zorn series is growing up a little bit and getting darker with less joking around about the two detectives and I think that’s why this third book is my favorite in the series yet. I was in need of an ebook to help me through my lunch breaks at work and so I squeezed in this Max Wolfe novella so that I could continue the series with book 3 afterwards. While this short story didn’t add anything really important to the series it still did a good job linking books 2 and 3 and was definitely entertaining. It took me a while until I could enjoy this third book in the Carl Mørck series because I felt like the story wasn’t focussing enough on the mystery in the first half and rather on the quirks of the characters (how are some of these people even allowed to work for the police force?) but the case became really addictive in the second half which made it really hard to put down the book. While I actually enjoyed the first two books in the Faris Iskander series I didn’t really have high expectations for book 3 but this novel was a hell of a thriller from the very first page on. It felt a little bit like a mix of „Homeland“ and „Prison Break“ and was just super suspenseful – definitely one of my top 3 favorite thrillers this year! I’m a fan of Martha Well’s Books of the Raksura fantasy series, but I wasn’t as wowed by this science fiction novella. It was fine, but I’m not dying to read the next one. It was nice to check another series off my spreadsheet, but unfortunately I found this to be the weakest book in the series. I still enjoyed the mystery, however, as well as the introduction of a new character, Harris. I read this with a group of bookstagrammers so I wouldn’t have to face the scary clowns alone. It turns out that I needn’t have worried, though, as I didn’t find it scary at all. (I guess the movie will be much worse, since I’ll actually be able to see Pennywise.) Aside from a certain scene at the end that knocked my rating down a star, I really loved It! I flew through these, despite reading them in German. Both are addictive, graphic, and totally sick – exactly what I look for in a thriller. The characters have really grown on me, which is an added bonus. I buddy read this with Cait of Paper Fury, and we both thoroughly enjoyed it. It’s nerdy, cute, and an important #ownvoices story about life in an Indian immigrant family. It’s the perfect summer read! May not only marked the start of this year’s outdoor reading season for us, it also was the time for another outdoor activity that was much less relaxing but still fun – well, sometimes. 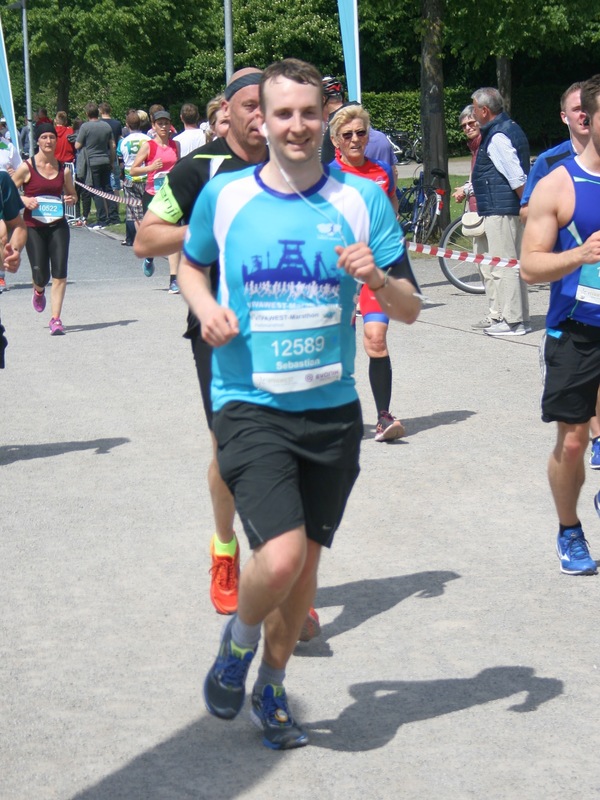 We did a lot of running (or speed-walking, in Maraia’s case) in the past two and a half months to prepare Sebastian for his annual half-marathon which took place near the end of the month. 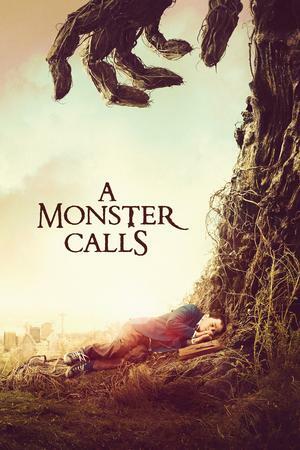 A MONSTER CALLS: It’s always nerve-wracking seeing an adaptation of a favorite book, but in this case the movie more than lived up to our expectations. It perfectly captured the feeling of the book, and the art in the movie was gorgeous. The German dubbers did a fantastic job, but we’re also looking forward to watching it again with the original voices. 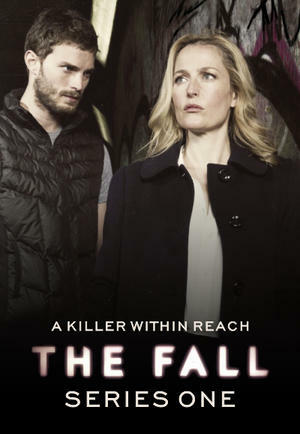 THE FALL: BBC crime shows so rarely disappoint, and this was no exception. We were hooked immediately, despite not particularly caring for any of the characters. Between this and 50 Shades of Grey, we will never be able to think of actor Jamie Dorian as anything but a complete creep. There are only 17 episodes, so it’s perfect for binging! 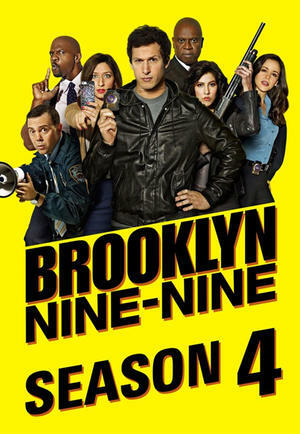 BROOKLYN NINE-NINE: This show is still one of the funniest on TV, despite the reappearance of our least favorite character and the horrible cliffhanger of a series finale. The good news is, the show was renewed; the bad, that we have to wait until the fall for more episodes. PASTEWKA: It feels as if we just started this show a few weeks ago, and yet somehow we’re all caught up already. This show is painfully funny, and we already miss the characters and the short-but-sweet intro. The original ending was pretty weird, so we’re glad there’s a new season coming up! 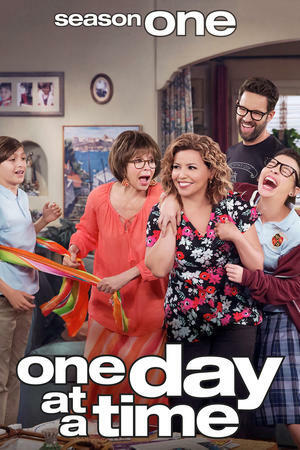 ONE DAY AT A TIME: It took a little while, but this show definitely grew on us, and we’re glad it’s been renewed. The son is still snobby, but the other characters are impossible not to love, and the diversity is refreshing. This show has some great messages! 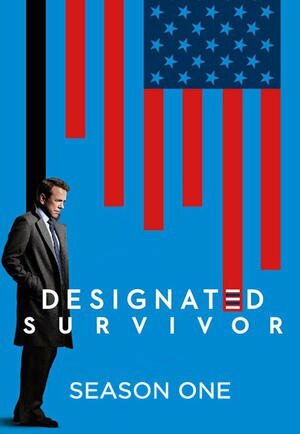 DESIGNATED SURVIVOR: Sadly we only have one episode left in what quickly became one of our favorite shows. We can only imagine what kind of cliffhanger awaits us in the season finale. 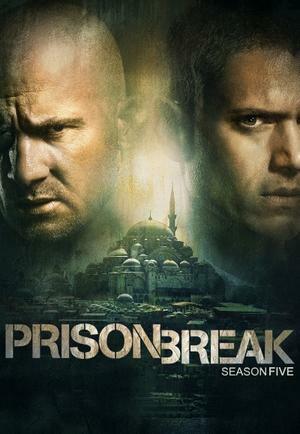 PRISON BREAK: This continues to be an exciting and addictive season. Our biggest complaint is that it’s too short. We watched all but one final episode in May. 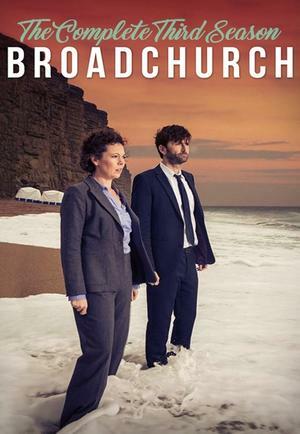 BROADCHURCH: Why was this amazing show over so quickly? Out of all the BBC shows we’ve watched, this has got to be one of the most painful. Season 3 wasn’t quite as painful as the first season, but it we still loved every minute of it. 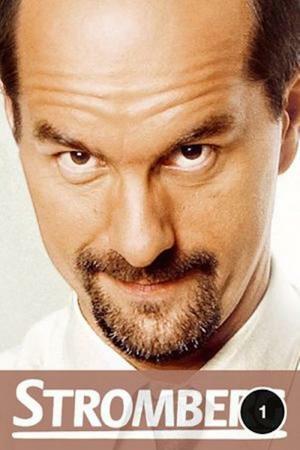 STROMBERG: Having finished Pastewka, we’ve moved on to our next German sitcom. Maraia: I find this one harder to understand, and I haven’t connected to the characters yet, but it’s still funny! 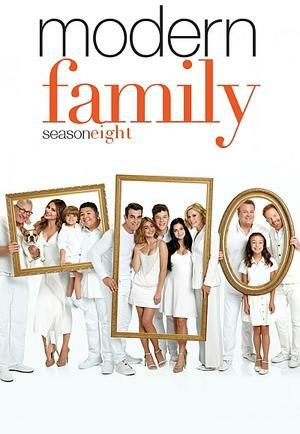 MODERN FAMILY: We seem to continually be running out of sitcoms to watch during dinner, but fortunately Modern Family never disappoints. It’s just as funny as ever! Sebastian will have to answer that question, haha. How many books did you read?! What you normally read is what most people would call a wild amount, haha. But like you said, what else were you supposed to do? I don’t think AMC will disappoint you. 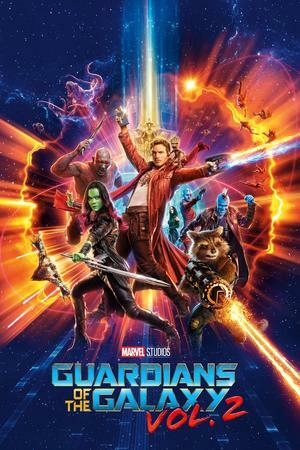 It’s a beautiful movie.